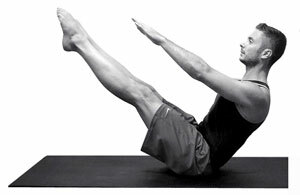 At Athboy Physiotherapy and Sports Clinic we run Menâ€™s Only Group Pilates classes at Beginner and Advanced Level. The beginner class is ideal for anyone new to Pilates and that may be looking to rehabilitate following injury or lower back pain. The advanced Menâ€™s class is geared towards Athleteâ€™s, Sports People and those who have taken part in Pilates classes before. Men are also welcome to attend any of the other Mat Classes on the timetable. All equipment including mats is provided by us so no need to bring anything with you. Classes run for 50-55 minutes and run for 6 weeks at a time. Check out our current timetable below and call us on (046) 94 30521 for more information and to book your place.